MAXIMUM LIGHT BLOCKING, LIGHTNING-QUICK DRAINAGE, ULTIMATE CONVENIENCE! Imagine opening your pool in the spring and having it look almost as clean as the day you closed it. That’s what you can expect from new Loop-Loc Aqua Xtreme Covers “Virtually Solid” mesh safety covers by LOOP-LOC®. Loop-Loc Aqua Xtreme Covers put an unbreakable “lock” on your pool to protect your family. Only LOOP-LOC is available with the patented CABLE-LOC™ and GAPGUARD® Child Safety Intrusion Barriers. They close the dangerous gaps created where raised obstructions meet the cover’s edge, so there’s no way a child or pet can slip through. 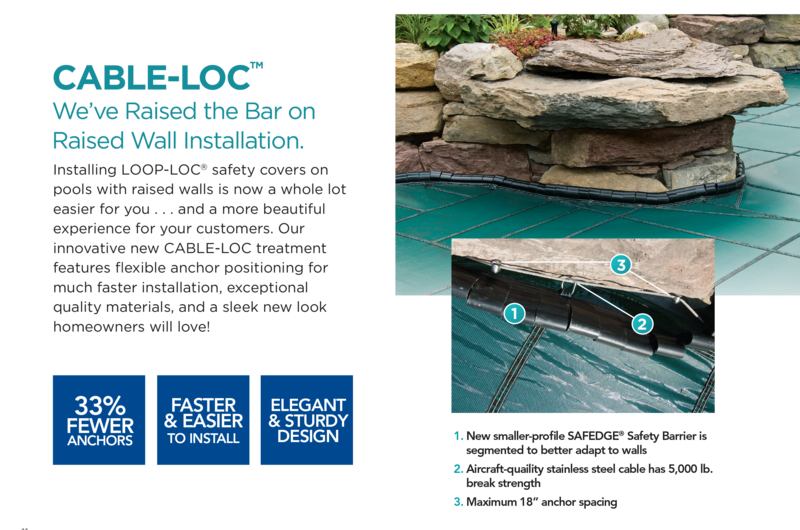 LOOP-LOC’s exclusive Computer Aided Design ensures a perfect, custom fit for any shape or size pool: from a simple square to the most complex installation, LOOP-LOC can manufacture a custom cover with the perfect fit for any pool or spa. LOOP-LOC always stays tight, clean and bautiful on your pool – unlike a saggy, unsightly waterbag cover that becomes a dangerous, slippery swamp after just a few rains. Unlike solid waterbag covers, a LOOP-LOC requires no pumping, scrubbing or heavy maintenance. Plus, it’s easy to install and remove with LOOP-LOC’s unique anchoring system. 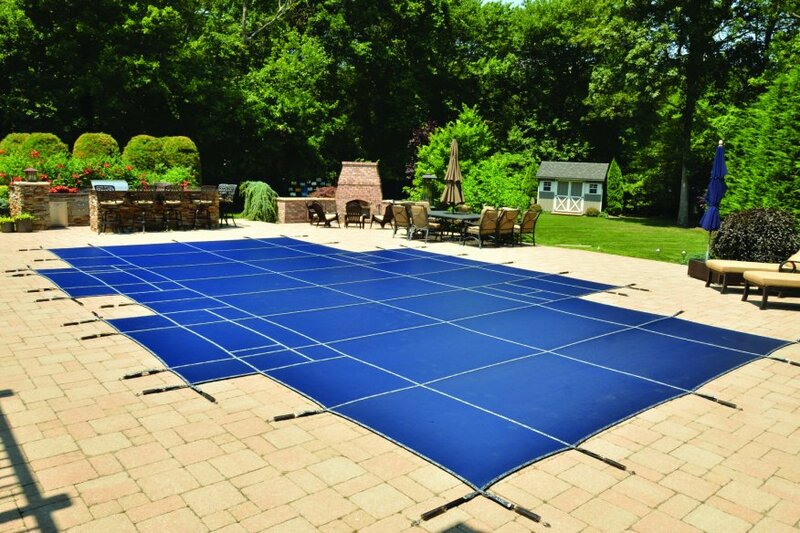 Free installation, 2019 pool opening and closing with opening and closing chemicals with the purchase of any custom Loop-Loc® cover purchased prior to 4/30. Offer valid on custom covers only. Special financing for 36 months at 0% APR. Subject to credit approval.